TOKK™ REACTOR XL are rugged, durable, stereo speakers engineered to take anywhere. Their magnetized hemispheres combine to one compact ball for storage and travel, as well as attaching to any metal surface. Equally, at home on your desk, the beach, camping or neatly stowed away for your travels. TOKK™ REACTOR XL brings you ‘explosive’, wide range stereo sound, in a clever, compact wireless form factor. With hours of uninterrupted Bluetooth streaming from your laptop or smart device, it can even take a call. 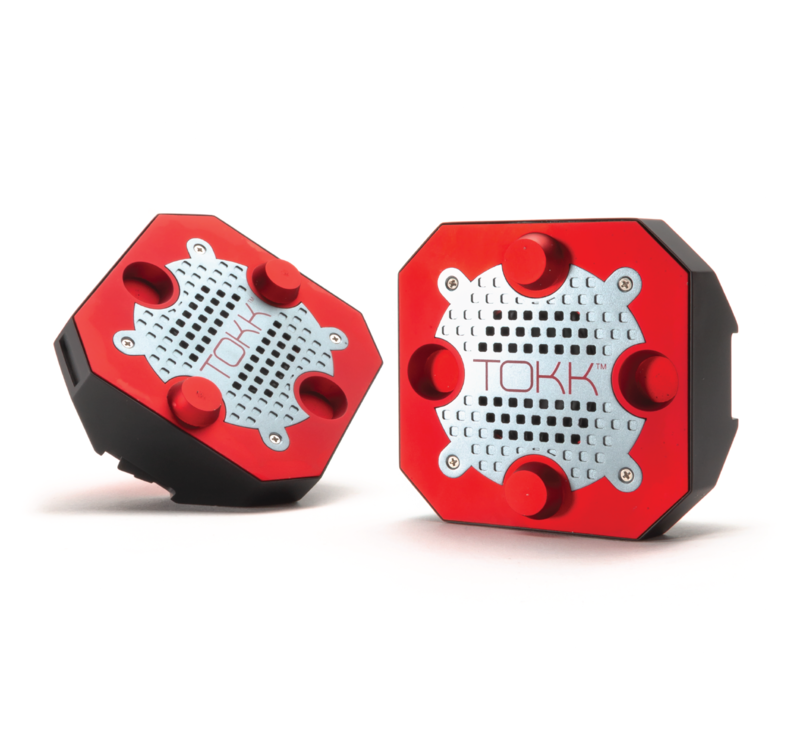 TOKK™ REACTOR XL are the wireless speakers that’s made to move. Smart Mutli Function buttons (Play/Pause/Volume/Skip) on each speaker driving both speakers.